Awesome food, thumbs up all the way 👍. Great people and music...definitely will go back! Our server was amazing kind and accommodating. I enjoyed it all...the burger, the calamari and raspberry lemonade.It was a pleasant addition to my day! Wonderful atmosphere. Cozy and friendly. Good food. Large portions. A definite thumbs up! Great music, drinks and service. Outstanding, pleasant service. Terrific beer list and food. Amazingly affordable Happy Hour 4-6 for $10 food & alcohol. Great ambiance. This discount gift gave me the opportunity to visit a restaurant close to home. Service and food were great! Thank you! Lively atmosphere, nice waitress, good food! Fairmount Grille has a warm comfort setting. We sat the back table by the fireplace. The good was delicious (Stuffed Haddock and Famous Sweet Chili Wings) and a great portion. The waiter was very polite. Thank you Nift! I had the fish btl sandwich which was really good. I never had fish with bacon. Great good, atmosphere and service, definitely going to be coming back! I ordered the buffalo mac n cheese. And man was it cheesy in all the right places. Excellent, will come again. I discovered the place because of the nift. I forgot to use it my first and second time. I liked it so much i went 3 times and I’ll be back for sure. Thank you Nift. What a cozy place! Friendly service and great food. Will definitely come back. Great service and food at Fairmount Grille. 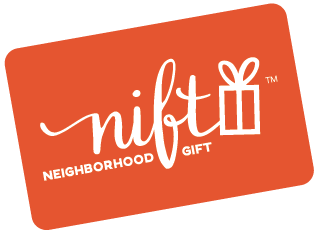 I appreciated Nift for the opportunity to try this local restaurant. Great place! Food was excellent and a nice environment to eat with your love one and friends. My husband and I had a wonderful lunch. Nice atmosphere. Everybody very friendly. Yes very good bison burger, but with a French fry sub, having asparagus instead; and being given only 7 measly spears for an additional.75c I would rec they reconsider their generosity. Nice and friendly waitstaff tho. We went in late-ish on a snowy night, and it was lively and full of people. We ordered "comfort food" that was perfect for that moment. Service was great! Great spot for family dining!